Wanna impress your project leader? Whatever you are doing deploying applications, migrating mail server, AD migration, organize an event or conference you need a list of people, some information and maybe a status like the response of an email. SharePoint is great product to for example manage list and Active Directory is a great directory for example users. So what do we need to impress our project leader? Yes, a PowerShell synchronization! Now wait until it’s done and when you refresh the page in SharePoint you will see all users added, now to a feature! 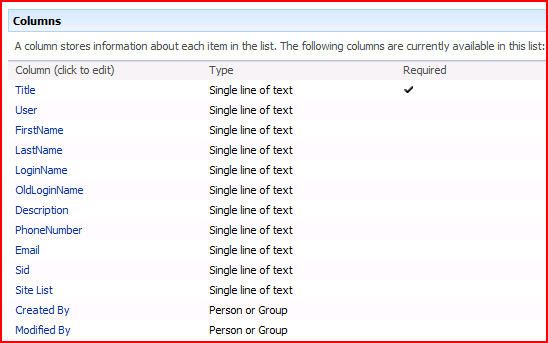 The script and the SharePoint list is available for download from my Skydrive! Many thanks to my co-worker Niklas from www.powershell.nu! Previous Previous post: No DVD to burn Windows 7 Beta ISO on? Great â€“ I should certainly pronounce, impressed with your site. I had no trouble navigating through all tabs as well as related info ended up being truly easy to do to access. I recently found what I hoped for before you know it at all. Quite unusual. Is likely to appreciate it for those who add forums or something, website theme . a tones way for your customer to communicate. Excellent task.